These are the front and back views of the phone. The overall look of the phone is pretty good and it's been a while that I managed to get a grip of an 4.7 inch phone. 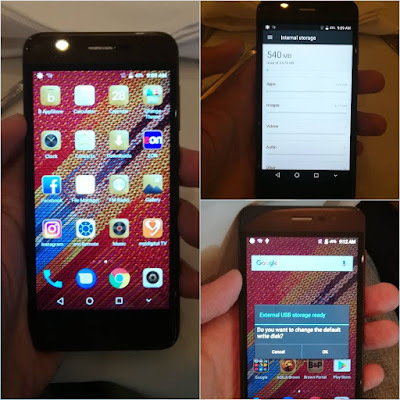 The display was also good and the on-screen controls were present and there's no app drawer. 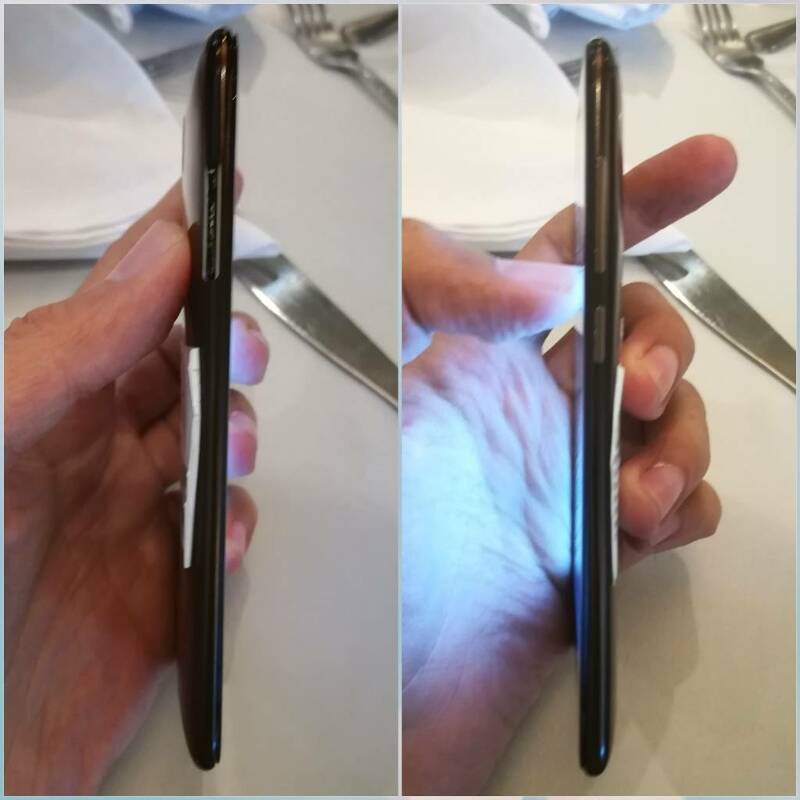 Finally, the phone revealed it's battery capacity based on the sticker which is at 1,800 mAh plus it does not have a removable back cover. 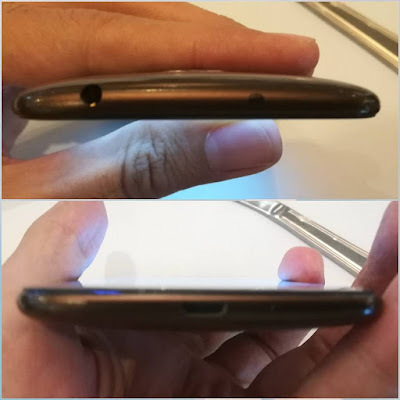 The top has 3.5 mm audio jack and IR blaster (which is to be confirmed if this is really enabled for use) while at the bottom, the OTG capable micro USB port and pin hole microphone. The 5.8 mm. thickness is reallt there and the gorgeous curves too. 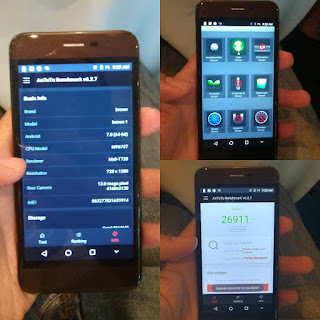 I also uncovered the processor and what I can get from the benchmark apps. 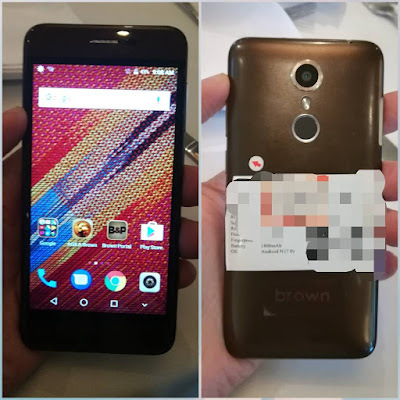 It's confirmed that Brown 1 has 1.3 GHz Mediatek MT6737 64-bit quad-core processor. It has accelerometer, light, proximity, gyro and sound sensors. On Antutu, it gave me at almost 27,000.